As CB&A enjoys the warm Wisconsin summer, the team plans to make a splash with a new client: Second Avenue Learning. What is Second Avenue Learning? Second Avenue Learning develops custom software tools that reimagine the possibilities of learning and technology. Offerings include educational interactive modules and serious games that are designed for a primary purpose other than pure entertainment. Second Avenue Learning also provides managed services for learning management systems, training services and content authoring, in addition to proprietary products. Knowledge, innovation and synergy are at the core of every project Second Avenue Learning takes on. How is Second Avenue Learning improving education? Specializing in serious gaming and education software, Second Avenue Learning provides innovative and alternative learning paths for K-12, higher education and corporate entities. 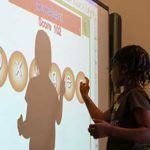 Believing that a child’s first teacher is play, the company seeks to improve educational outcomes through interactive and engaging learning objects. 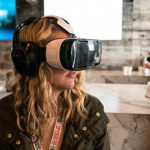 For the past ten years, CEO and founder Victoria Van Voorhis has established herself as a thought leader in the education industry by exhibiting and speaking at education and gaming events, as well as sharing the power of play during a Tedx Talk and a Google Tech Talk. Victoria and her team envision game-based learning as a key component of the future of education. 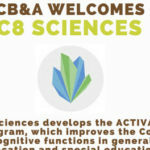 CB&A is teaming up with Second Avenue Learning to increase visibility for the company. 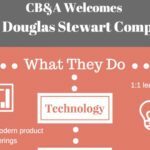 Through public relations and digital marketing strategies, CB&A will help increase industry awareness of Second Avenue Learning and place its products in the hands of learners and educators. For example, game-based curriculum correlated to Common Core and NGSS, Martha Madison, empowers students to learn STEM concepts through in-game mechanics; and just in time for the upcoming election, Voters Ed enables students to play out the election process by interacting with voter-related data. By promoting Second Avenue Learning products and services, the campaign will improve learning through the power of play.